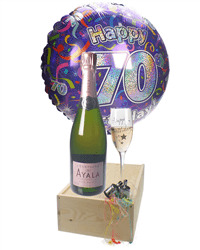 Reaching 70 is a celebration that needs not to be missed! 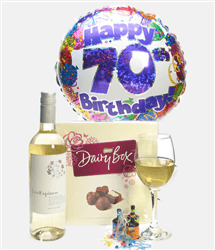 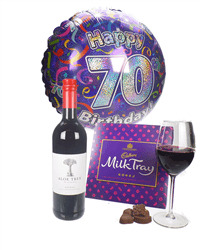 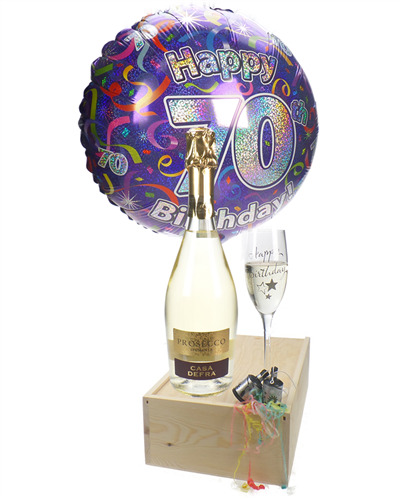 Its a definite milestone so send them this single bottle of Prosecco presented with a 70th happy birthday flute glass, 70th happy birthday helium balloon and a couple of party poppers thrown in for good measure. 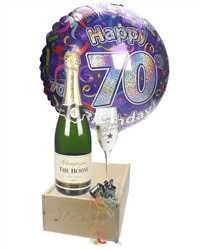 All delivered in the one box to help get any 70th birthday off to a good start.